Last edited by donnay; 04-06-2017 at 09:01 AM. And no, Angela, not more of the same vaccine lies. It's clear your mind is totally close to anything outside of your world view. Thanks for the -rep it just gives me more reason to post videos and information like this, to let people step-out-of-the-box and make their own informed decisions--as it should be. 48 hour marathon. The Truth About Vaccines. A Must see! Any time a title claims "The Truth" it never is. Does that statement make your denial feel better? With regard to acute and chronic conditions, vaccinated children were significantly less likely than the unvaccinated to have had chickenpox and pertussis but, contrary to expectation, were significantly more likely to have been diagnosed with otitis media, pneumonia, allergic rhinitis, eczema, and NDD. The vaccinated were also more likely to have used antibiotics, allergy and fever medications; to have been fitted with ventilation ear tubes; visited a doctor for a health issue in the previous year, and been hospitalized. There is only one problem with this study that is that the difference in health - where the unvaccinated are in general healthier - isn't caused by vaccines. There is obviously a reason that some children weren't vaccinated. To me it is obvious that parents that refuse to have their children vaccinated, won't go to the doctors so quick. There are different ways to interpret this. It could mean that people that refuse to let themselves (and their children) be mistreated by the medical doctors are healthier in general. It could also mean that the unvaccinated children are simply not diagnosed as having a disease. In this way this study could mean that the vaccinated children are more often diagnosed as having an illness, where the unvaccinated children are just as ill without the doctor's diagnosis. 5/9/17 UPDATE: This groundbreaking study was immediately retracted for political reasons. Read our update here. Presently, the American people are facing 173 vaccine-related bills in 40 states. The language of many of the new bills aims to increase tracking, target non-vaccinating families, force vaccine schedules, and further persecute families who choose not to accept vaccines; the private products of for-profit, legally protected pharmaceutical companies. The corporate media and medical industries have thrown their full influence behind Big Pharma’s transparent ‘safe and effective’ messaging. At the same time, both industries are simultaneously censoring discussions around the fraud, dangers, mounting injuries, and criminal behavior inherent within the vaccine industry and those pushing for mandatory vaccination. A central point of contention, and human rights violation, is the fact that historically, no true study has been conducted between vaccinated versus unvaccinated populations. However, such a study has now come to fruition. Having worked on the study for 15 years, from its original conception to completion, Dr. Anthony Mawson and his coauthors have now had their work published in the Journal of Translational Science.The study, titled, ‘Pilot comparative study on the health of vaccinated and unvaccinated 6- to 12- year-old U.S. children’. Since long-term health outcomes of the current vaccination schedule haven’t been studied, Dr. Mawson and his coauthors set out to compare vaccinated and unvaccinated children across a broad range of health outcomes. The study was designed as a cross-sectional survey of homeschooling mothers on their vaccinated and unvaccinated biological children ages 6 to 12. It included mothers of 666 children ranging from fully vaccinated, partially vaccinated and unvaccinated. The mothers were asked to indicate on a list of more than 40 acute and chronic illnesses all those for which her child or children had received a diagnosis by a physician among other questions. The vaccinated children were significantly more likely than the unvaccinated to have been diagnosed with the following: allergic rhinitis, other allergies, eczema/atopic dermatitis, a learning disability, autism spectrum disorder, any neurodevelopmental disorder (NDD) (i.e., learning disability, ADHD or ASD) and chronic illness. Vaccinated children in the study were 3.7 times more likely to have been diagnosed with some kind of (NDD). There is currently a clash happening between religious-like vaccine dogma and increasingly aware segments of the public, research, and medical communities. In the balance hangs the opportunity for a truly open discussion on vaccines and a rare chance to reform a pharmaceutically-dominated medical community that has lost its way. Giving the current trend, the consequences of not seizing the opportunity for open dialogue appears to lead down a road of mandatory medicine and censorship of exponentially mounting human injury and mortality. Put simply, the battle now rages between openness and transparency versus the protection, through omission and overt censorship, of Big Pharma’s business model and need for ever-expanding bottom lines at all costs. In today's newsletter, we feature an article about two small but powerful studies. They apparently terrify the vaccine industry champions to such an extent that they will publish falsehoods to keep the studies out of the public eye. Dr. Anthony Mawson, author of “Pilot Comparative Study on the Health of Vaccinated and Unvaccinated 6 – 12 Year Old U.S. Children” and “Preterm birth, vaccination and neurodevelopmental disorders: A cross-sectional study of 6 – 12 year old vaccinated and unvaccinated children” has been the target of Retraction Watch, an online blog of the “Center for Scientific Integrity” which receives “generous” funding from The MacArthur Foundation to promote integrity in science. This fake news blog, which we hope the foundation will disavow, has been used to target a 35-year career scientist and his research in order to derail publication of two papers that were peer reviewed and accepted on their merits. Retraction Watch falsely claimed that one of the studies had been retracted by another journal, when it had never been officially accepted. They compounded the falsehood by claiming the paper had been retracted a second time, when it had simply been temporarily removed pending a response from the author to the false allegation. “The journal had neither formally accepted or retracted it. Clearly, there is a difference, as journals may decline to publish articles without finding fault in them but retraction is usually based upon some scientific mistake or misconduct in the science of the study that is measurable and objective and it is frequently a charge that has serious negative consequences on the careers of the scientists who published the study.Could you please direct me to the complaints about the study so that I can inform now my readers which now number in hundreds of thousands whether there is an honest mistake by the authors and where that is, or misconduct in reporting the truth of their data and what specifically that is? We encourage you to read this excellent summary by Merinda Teller, MPH, PhD of Dr. Mawson’s efforts to bring “integrity in science” to vaccine safety science. 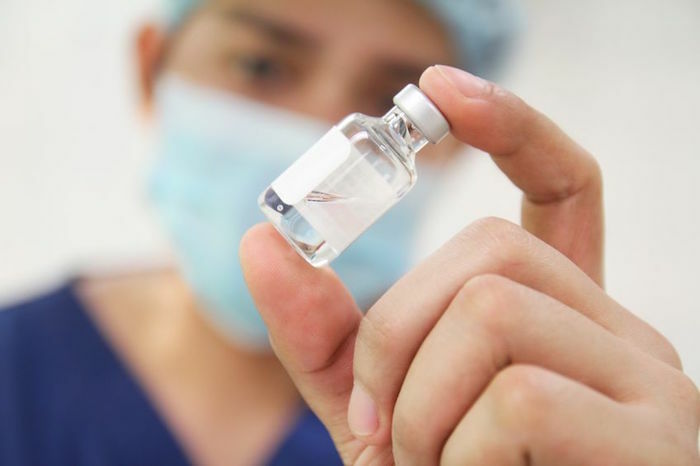 For the second time, a journal has quickly retracted a study that suggested vaccines raise the risk of autism and other neurodevelopmental disorders. The study first raised a furor last year, prompting a Frontiers journal to quickly retract it. After it was republished in the Journal of Translational Science this month, that journal has also retracted it. Although the titles of the two papers changed, the abstracts were nearly identical. Both studies surveyed the parents of 666 home-schooled children, 39% of whom where not vaccinated, and concluded that vaccination increased the risk of neurodevelopmental problems, particularly if children were born prematurely. A representative of the Journal of Translational Science told us “Pilot comparative study on the health of vaccinated and unvaccinated 6- to 12-year-old U.S. children” has been retracted, and it will update us with an explanation. When the study appeared last year in Frontiers in Public Health, it caused a firestorm on Twitter, prompting Frontiers to release a public statement, noting that the study was only “provisionally accepted but not published.” It was retracted later that same week. In 2011, first author Anthony Mawson at Jackson State University, filed a lawsuit against the Mississippi State Department of Health, in which he alleged that, after he advocated the need for more studies on vaccine safety, a state officer interfered with his then-position at the University of Mississippi Medical Center, resulting in his contract not getting renewed. The suit was dismissed the following year. This isn’t the first time an anti-vaccine study was republished after a hasty retraction — last February, Vaccine temporarily removed (then retracted) a study linking the vaccine for human papillomavirus (HPV) to behavioral problems in mice; in July, the paper was republished by the journal Immunologic Research, albeit with major revisions, according to one of the co-authors. Last edited by Zippyjuan; 05-09-2017 at 02:31 PM. Retraction Watch is not accurate here. Frontiers in Public Health rejected it. It was never fully published, so it was not "retracted." As to the Journal of Translational Science, there is no public statement yet as to why it was removed. RW is using an "unnamed source" but admits they have not heard from the Journal yet. Either way, it is highly unusual that two peer-reviewed publications would publish something, then take it down. The Journal of Translational Science would certainly have known what happened last year. Here's the full study that was peer-reviewed and accepted. "Provisionally accepted". https://twitter.com/FrontiersIn/stat...27519537258496 The never published the actual article. OA Text is an open-access publication, in which publication overheads are covered by an article processing charge, most often covered by funding bodies, sometimes university departments, and on rare occasions when funding is not available, fees are waivered. Publication fees are used directly to cover the cost of publishing the article. That one too has been retracted. It was a survey of people who visited a single online website devoted to home school children and data was self-reported. That is not a representative sample of the general population and not a viable study. That is why it keeps getting pulled. It is impossible to derive any useful data from their sample- other than to comment on visitors to that single website who replied. Do a survey of members on this website. Ask who you would like to see as President of the United States. Would you be able to use that data to predict the outcome of the general election? Is that data useful and applicable to the rest of the country? Would Ron Paul win the General Election in a landslide like he would here? Poor study is still a poor study. They tried to present it as something new by changing the title and submitting it to another pay to play publisher. They probably submitted it to dozens if not hundreds trying to get it published. The Journal of Translational Science is not indexed in PubMed. It’s been over two years since the journal was first published, and it is rare for a journal to not be indexed there. Without PubMed, it is extraordinarily difficult to cites one of the articles published in JTS. Of course, there’s no reason given for it’s exclusion from PubMed, but we can speculate that possibly the science is bad. JTS lacks an impact factor. The impact factor gives us a relative understanding of the quality of a journal – generally, the impact factor tells us approximately how many times an average article published in a journal is cited per year. A journal like Nature has an impact factor of 36, which means the average article is cited 36 times a year. Why is this important? We know that more pivotal and valuable research is cited many times and often repeated by other scientists, especially in new publications. This is how science develops solid evidence, by examining and repeating the findings of others. Low impact factor, predatory journals are generally dismissed by scientific researchers because the peer-review is weak. These journals are often abused by researchers whose data has been rejected by one or more of the respected journals, so they settle for these low quality versions. In the academic community, publications such as these often cannot be used as evidence of qualification for tenure. Last edited by Zippyjuan; 05-09-2017 at 03:51 PM. So based on your ad hominem attack on the Journal of Translational Science, why would they retract this (if indeed it has been retracted - the Journal has not confirmed this yet)? You're reasoning lacks any logic, as usual. You state that the Journal "retracted" it because it is not a good study, and then turn around and state the Journal lacks any credibility because it publishes junk. And then you compare it to a survey to predict the outcome of an election. Did you ever study logic?? At any rate, people can read the study now in spite of attempts at censorship and make up their own minds. And then you compare it to a survey to predict the outcome of an election. Both are examples of online surveys conducted on a single website. Neither are representative of the overall population so have no value you can draw any useful conclusions from. Bad study is bad study- not "censorship". Last edited by Zippyjuan; 05-09-2017 at 04:43 PM. I didn't even comment on the study, but nice try with your illogical strawman technique. I think it is your favorite one, along with non sequitur. The vax vs. unvaccinated has plenty of evidence, and is not dependent on this study. This study, with its limitations (not necessarily flaws) certainly does not prove your pro-vaccine position. It adds to the body of evidence that vaccines are not what they are advertised to be. Your article headline cites the retracted study. The rest is anecdotal not scientific evidence. Last edited by Zippyjuan; 05-09-2017 at 05:57 PM. It is what doctors observe in clinical practice. That is scientific evidence. Your BIAS has already been exposed. You have an anti-science BELIEF, because you BELIEVE the science regarding vaccines is settled - a CLEAR anti-science belief. Share the evidence. What is the percentage of individuals who receive vaccines are harmed by them? What sort of harm? That study was not scientific proof because it was not a scientifically conducted study. Which is why it was retracted. I am not anti- science. I am asking for the science to prove your case. The study did not do so. Last edited by Zippyjuan; 05-09-2017 at 06:17 PM. What is the percentage of individuals who receive vaccines are harmed by them? We've been down this road before. That is YOUR argument - your strawman argument. The numbers are not known, and I don't have to know them, because it is not my argument. Vaccines harm and kill some people. That is fact, and is easily proven. The U.S. government has paid billions in vaccine injuries. This is mostly censored information, and therefore news sources like ours that are not controlled by the pharmaceutical industry are crucial to bring these facts to the public. Doctors who view vaccine damage in their patients are reporting facts. The science is NOT settled on anything. As more and more vaccines get pumped into society and children, more data and more studies are needed. The numbers are not known, and I don't have to know them, because it is not my argument. Vaccines harm and kill some people. That is fact, and is easily proven. I see. You know it but you don't have any data. It is easily proven but you have no proof. Thanks for trying. What are the facts they are reporting? What percent of patients they give vaccines to are having negative side effects? What sort of side effects? Last edited by Zippyjuan; 05-09-2017 at 06:36 PM. On the contrary, it has been proven many many times, and the FACT that the National Vaccine Compensation Program pays out BILLIONS to those injured and killed by vaccines is PUBLIC knowledge. It does not have to be proven to anyone. It is fact. It is simply censored information in the mainstream corporate media. What percent of patients they give vaccines to are having negative side effects? Again, that is YOUR strawman argument (asking for percentages). Your mere question validates the FACT that some are harmed by vaccines. Proving the numbers or percentages harmed is not possible by you or anyone else, because that data is not available. The CDC admittingly will not do a true vaccinated versus unvaccinated study. But you know all this. You have an agenda and a belief you want to promote here, which is plain to all. Let's check the data for the Vaccine Injury Compensation program you cite as proof of vaccines being harmful. According to the CDC, from 2006 to 2015 over 2.8 billion doses of covered vaccines were distributed in the U.S. For petitions filed in this time period, 4,460 petitions were adjudicated by the Court, and of those 2,911 were compensated. This means for every 1 million doses of vaccine that were distributed, 1 individual was compensated. Over 80 percent of all compensation awarded by the VICP comes as result of a negotiated settlement between the parties in which HHS has not concluded, based upon review of the evidence, that the alleged vaccine(s) caused the alleged injury. Again, that is YOUR strawman argument (asking for percentages). Asking for facts is being a strawman? I don't think so. Just mean you don't have any. On the contrary, it has been proven many many times, and the FACT that the National Vaccine Compensation Program pays out BILLIONS to those injured and killed by vaccines is PUBLIC knowledge. Proving the numbers or percentages harmed is not possible by you or anyone else, because that data is not available. It is public knowledge and has been proven many times. But data is unavailable. Last edited by Zippyjuan; 05-09-2017 at 06:54 PM. Thank you for conceding the argument. You just proved my point, even by using the CDC's data, if you trust the CDC. Of course even this text does not state that only one in a million are harmed by vaccines (your argument). It just states that those are the numbers that file petitions with the government in vaccine court. The GAO has stated that most Americans do not even know that the vaccine court (National Vaccine Compensation Program) even exists. So what are the real numbers? But you conceded my point: Some people die and are harmed by vaccines. Thank you. I conceded nothing. I asked for proof and got strawmen. But thank you for playing. One in a million would effect about 7,000 people on the ENTIRE PLANET. Or 320 people in the entire United States. Last edited by Zippyjuan; 05-09-2017 at 07:22 PM. I’m getting kind of frustrated about forum members accusing each other for being “unscientific”. I’m also frustrated that every time I check posts I make, pictures or links have been removed from the internet (I have fixed the link in post #7). I do intend to start my own thread on the “truth about vaccines”, but I’m afraid that this will take me a long time. +1 I have been saying for years the reason why the US has less and less of these diseases is because we have sanitation, clean water and better hygiene. Of course all the pro-vax people laughed and said that was ridiculous. It's not so ridiculous when you do the research and pay attention. Not studies. Surveys. The children were not randomly selected, the responses were not verified. It's a bunch of people seeing exactly what they want to see. But that doesn't matter to the anti-vaxxers. It is what doctors observe in clinical practice.